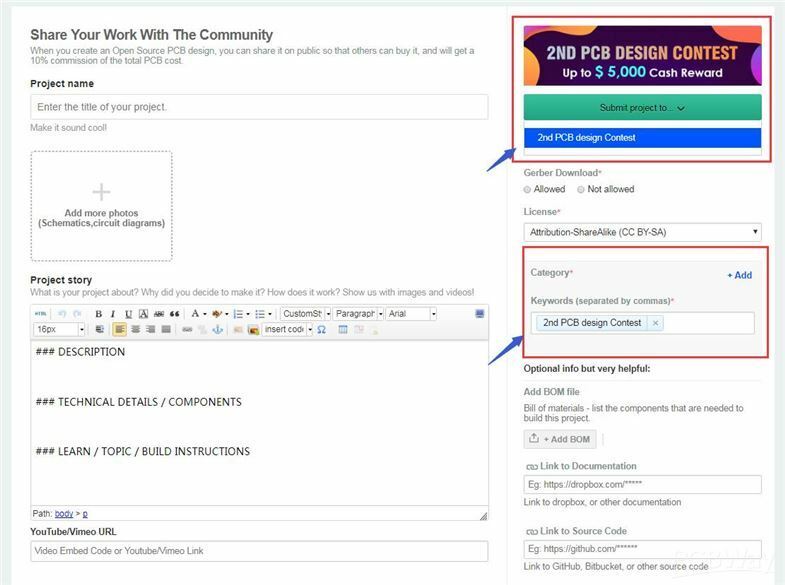 So excited to announce that PCBWay 2nd PCB Design Contest is starting. Through the first contest, we met many excellent makers and they also showed us lots of brilliant PCB designs. 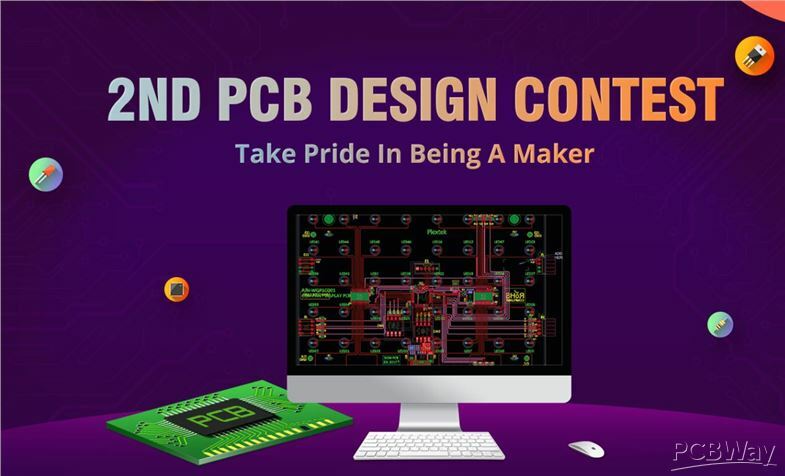 We sincerely welcome new competitors and former competitors to our 2nd PCB Design Contest. 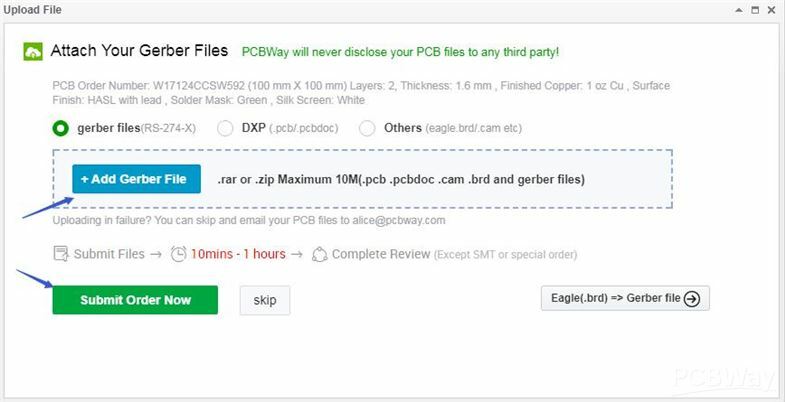 It’s organized by PCBWay, SpainLabs,YoREPARO, and ATMakers. Our main purpose is to find out the talented electronic engineers and to provide a platform for them to communicate and learn. We have invited Mitch Altman, Bill Binko, Carlos Navas,etc as judges of this contest. And there are detailed introductions to them on the event page. There is no limit to the PCB design’s size, layers, theme, or even the quantity of entries. Upload deadline: December 12, 2018. No copy, or your designs will be suspended on the contest. -For “The Best Designs” Awards, winners will be decided by four electronics engineers from SpainLabs, ATMakers, Cornfield Electronics and PCBWay. -For “The Most Popular Designs” Awards, winners will be chosen according to the number of Vote score, Likes, Shares,Gerber Download Orders. There’s a formula that includes every factor on weighted calculation of the result. -For “AT Maker Prize” Award, one winner will be chosen by Bill Binko, founder of ATMakers. His judging would be not only be on PCB design, but how useful the design would be to the AT community. 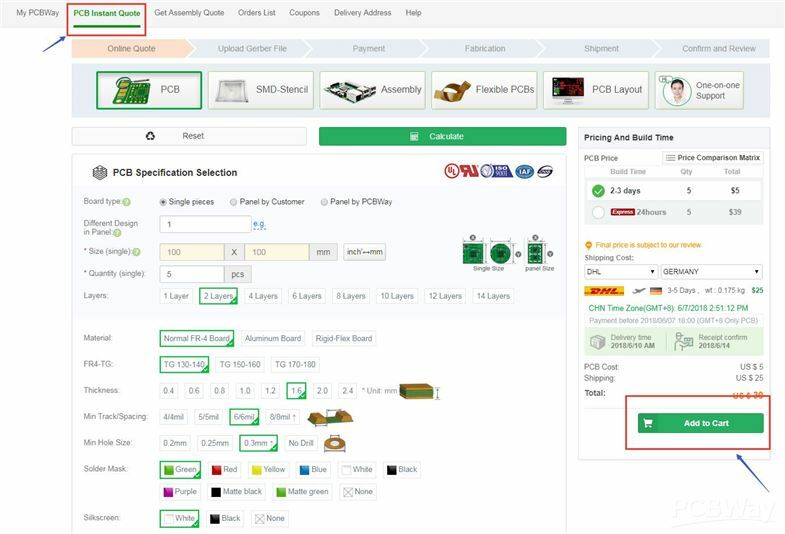 1- PCB Specification Selection on “ Instant quote” page and then add to cart. 2- Attach the Gerber Files and submit. 3- Share your project by click “Share & Sell” button.